We love the 1980s – and miss it, too. The days have long passed to see guys and girls lined up for date night at the movies in neon colored clothes with Aqua Net-reinforced hair while obnoxiously chewing bubble gum. And few things have been greater than watching the Ultimate Warrior and Hulk Hogan absorb the energy from the fans in an epic tussle at WrestleMania or the joy of clapping on oversized headphones to listen to a Michael Jackson album. That’s part of why we love the new Jeep ad so much. It transports us back to the less complicated time of the Cold War – who’d have thought that – with an unreleased single from the supremely talented Michael Jackson. The song is “Love Never Felt So Good,” which was written, recorded, and produced in 1983 by Jackson and legendary performer and songwriter Paul Anka. The advertisement highlights the all-new Altitude Edition vehicles, which are dressed-up versions of its model lineup. Jeep quickly pounced on the opportunity to use a fresh, new song (albeit produced 20 years ago) to capture what the brand hopes to inspire in consumers. The tagline of “Summer never felt so good” parallels the sentiments expressed in the song. Nice visuals of summer activities, often arrived to in Jeep vehicles, complement all other facets of the ad. 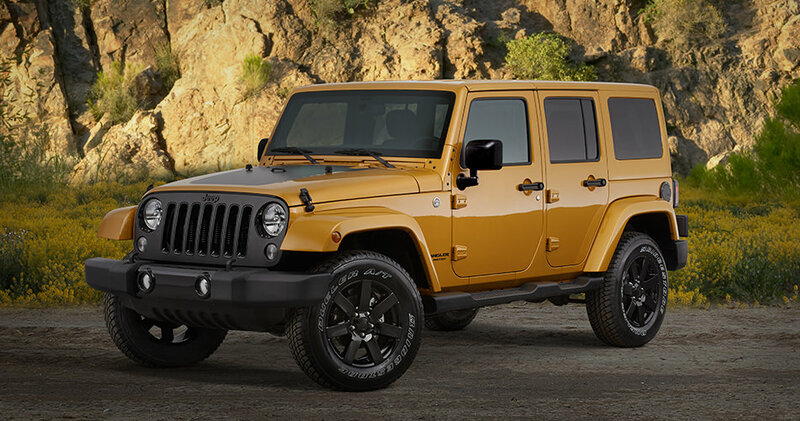 We hope you enjoy the video, and make sure that you stop down at AutoPark Chrysler Jeep to speak with one of our brand specialists regarding our great lineup of vehicles, as well as the availability of the summer-themed Altitude Editions. It’s a Gladiator, It’s a Comanche, No, It’s a Jeep Wrangler Truck!